We are members of the Mobile Caravan Engineers Association, are fully insured and Gas Safe Registered. We can also provide and install accessories. Please take time to look at the various services we provide and the pricing options. We would be delighted to discuss your requirements in more details. 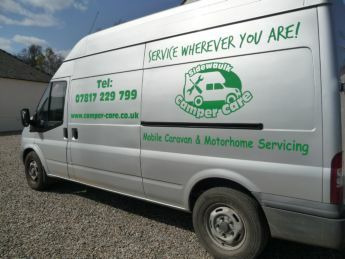 Sidewaulk Camper Care provide mobile caravan and motorhome servicing and repairs – whether you are at home, at a storage site or even on holiday at a campsite, our services can be carried out at your convenience. 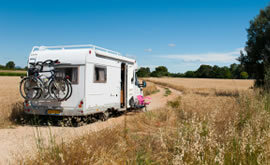 Sidewaulk Camper Care provide mobile caravan and motorhome servicing and repairs – whether you are at home, at a storage site or even on holiday at a campsite, our services can be carried out at your convenience – wherever you are. 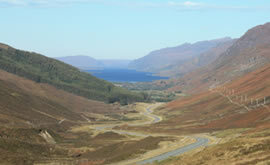 We are based in Perthshire and are happy to travel further afield as required. As caravanners ourselves, we understand your needs and are qualified to carry out full and part servicing, repairs, damp checks and electrical PIR certification. We can also provide and install accessories. 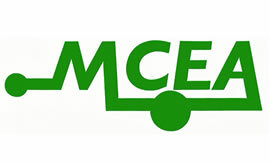 We are members of the Mobile Caravan Engineers Association, are fully insured and Gas Safe registered.